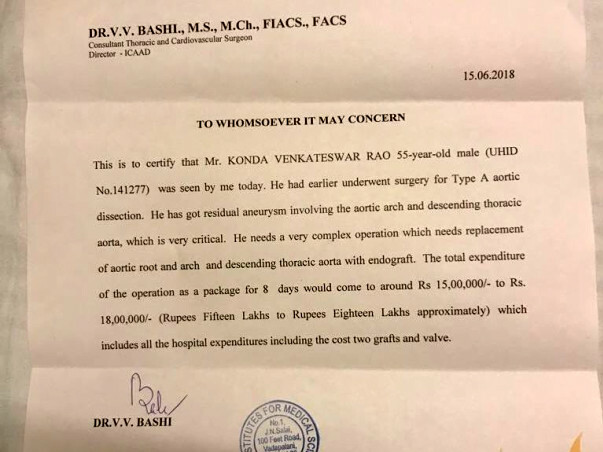 Venkateswar rao, My friends dad is need of a very complex operation which needs a replacement of Aortic root and arch and descending thoraic with endograft. 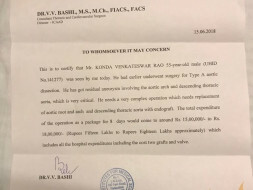 The total expenditure for the operation is about 18 lakhs. Here is an update on his health. The operation was donelast month. Now he is under observation. Here is an update on Venkateswar Rao's health. He has been admitted in the Hospital. Operation is Scheduled on 24th July. Here is an update. 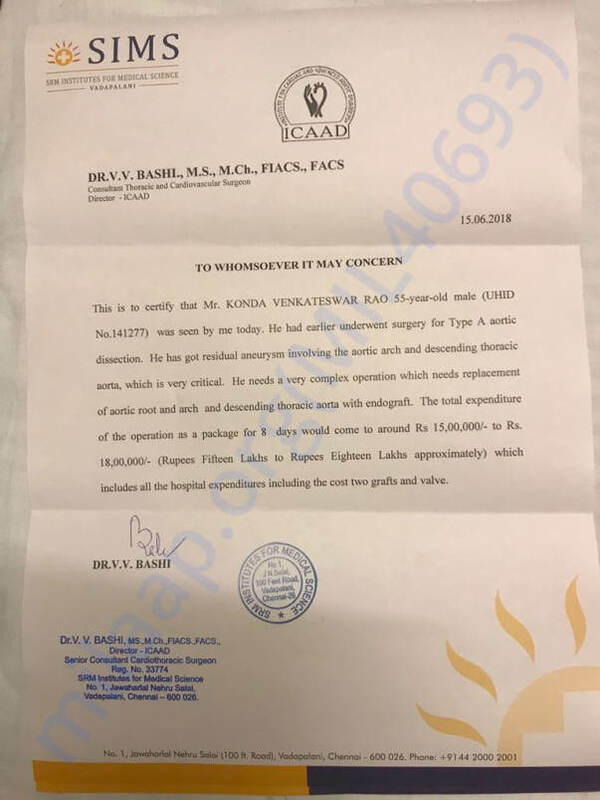 The operation is scheduled to happen on 19th July.